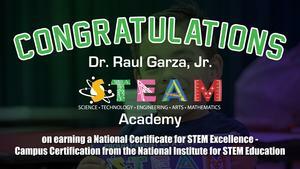 CONGRATULATIONS to the administrators and staff of our Dr. Raul Garza, Jr. STEAM Academy! 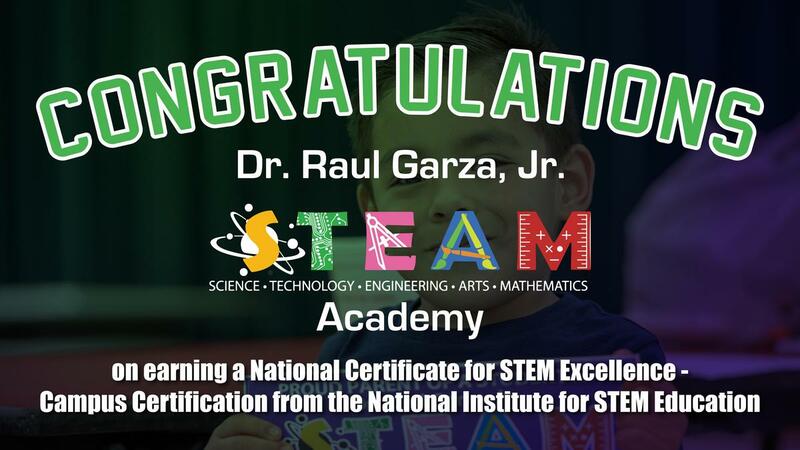 You are the FIRST school in the Rio Grande Valley and the SECOND in Texas to earn this prestigious recognition for your commitment to and systematic support of teachers’ understanding and use of high-impact, evidence-based STEM instructional strategies. For more information, visit http://nise.institute.